Aaah...the feeling of power under control. Feel free to ask and I will tell! 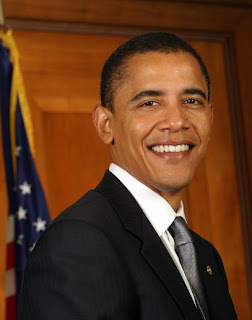 irst black man to be president? "Look, I got two daughters -- nine years old and six years old. I am going to teach them first about values and morals, but if they make a mistake, I don't want them punished with a baby. I don't want them punished with an STD at age 16." Punishment is to Unplanned Pregnancy ??? Do I welcome the prospect of this brotha being appointed to the presidency? s some of you know, I'm currently building my own "from scratch" web site, one with content for a highly targeted audience...a special "niche" of folks with certain common business interests. The tool I'm using for this is called SiteBuildIt! This software is nice! If you have even the remotest interest in creating a well-visited, profitable web site - for personal or professional use - then I urge you to keep the money you'd pay some fancy-pants web designer and get SiteBuildIt! "But I got no web design skills," you might say. No worries there, homey! These folks really do take the technical sting out of building a fully functioning web site...one you can profit from. And they guarantee it. You'll simply have to click one of the links above or watch the following video to get a better idea of what I'm talking about. You can click here to see actual Alexa ranking results for many of their satisfied customers.